So much of what we do at work is done over email, which means that perfecting our email skills is crucial for success in the office. If done wrong, it can make you look like an amateur. If done right, email can be your best friend and WILL make life so much easier. Here are a few tips and tricks that will not only keep you out of trouble, but also have you emailing like a pro in no time. 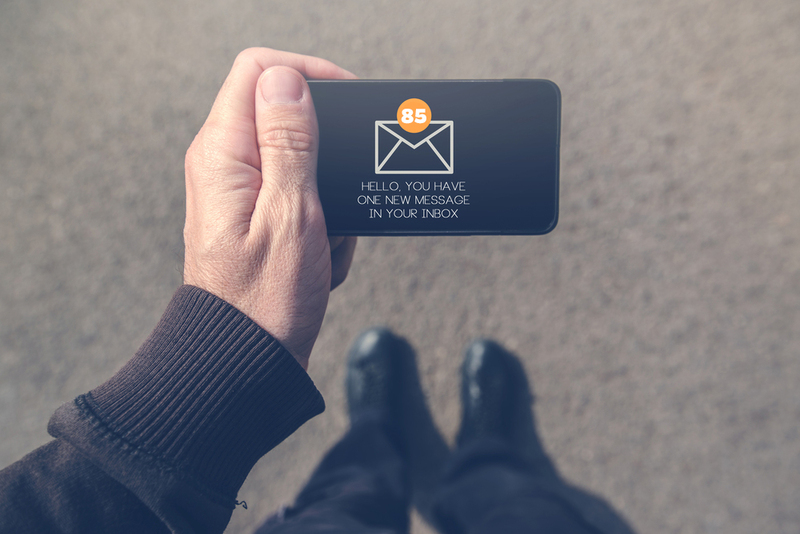 Your Email Address Matters. If you work for a company that provides you with an email address, you don’t have to worry about this one. But, if you work for yourself or are currently on the job hunt make sure that your email address is professional and accurately reflects who you are. YourName@_____.com is the best option, but abbreviations can also work. Just make sure you’re not sending out your resume from an address like 2Hot4U@________.com (or something worse). It’s not professional, and will turn off a future employer. Summarize It. Being clear and concise in email is key. If you send off a long, rambling email, you’re more likely to endure a lot of back and forth to settle something that could have been figured out quickly. I’m a big fan of bullet points, so when I have a lot of information to get across in an email, I’ll type out a bulleted list with all of my questions or requests, and send that off. The Infamous Reply-All. Reply-all can be a slippery slope. For example, if your company sends out an email to every single employee asking for feedback/info/etc., most of the time you won’t want every single person at work having their inboxes pinged every time someone replies to the request. Also not recommended—if you’re on an email chain and respond to someone with a not-so-nice comment about someone else on the chain. Hitting reply-all can get you into hot water. I always double…scratch that, triple check the recipients on any email that I reply-all to. Paper Trail. Keep in mind, the emails you send at work are never truly private. Not only does the person on the other end have the ability to forward your note on to HR, but the people at the top of your company usually have the ability to peek through your inbox. If you wouldn’t want the CEO of your company to read what you’re writing, don’t send it. Remember, every single email that you send creates a paper trail that can potentially be used for or against you. Tone It Down. The tone that you intend to come across may not always be the one that the person on the other end of your email exchange receives. Your tone (whether it’s sarcasm, urgency, or irritation) can be easily misinterpreted or misunderstood via email, so make sure that your emails are clear, friendly, and professional. Set Up a Signature. You’ll want to make sure that your email signature contains all of your contact info. That way, when you’re scheduling a call, meeting, or just making a new contact, they will be able to get in touch with you easily. Be sure to set up your email signature on your phone too. Talk it Out. Sometimes people use email as a way of avoiding face-to-face conversations. There are plenty of things that are acceptable (and sometimes necessary) to type out and send, but some things should be discussed in person. If it’s a difficult conversation, it’s always better to talk it out. That way there’s less room for miscommunication, and you’re more likely to resolve the situation quickly. Following this list will not only make your emails better but your life easier. Happy emailing!